The San Pedro Police Department are investigating a shooting incident that left two persons injured, including an 11 year old male student of San Pedro Roman Catholic School. The incident happened on Coconut Drive, near the airstrip, shortly after 11:30AM on Wednesday September 18th. The shooting happened during height of traffic as the students were heading home for lunch. According to police the entire incident was caught on a surveillance camera. 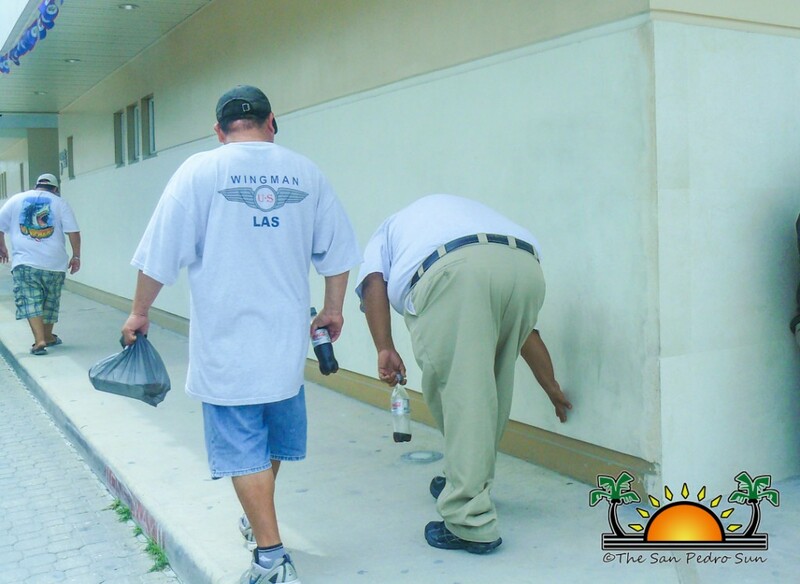 When speaking to The San Pedro Sun Luis Mendez, an eyewitness explained that he had just arrived on a flight and was in the process of exiting the terminal from one of the local airlines. “When I was stepping out, I saw a man pulled out a gun and pointed it at head of another man. The men then began struggling and the firearm fell to the ground. They both went for the gun and they struggled for firearm on the ground. I went to inform a traffic officer who was in the area but when I was returning, I heard a blast. 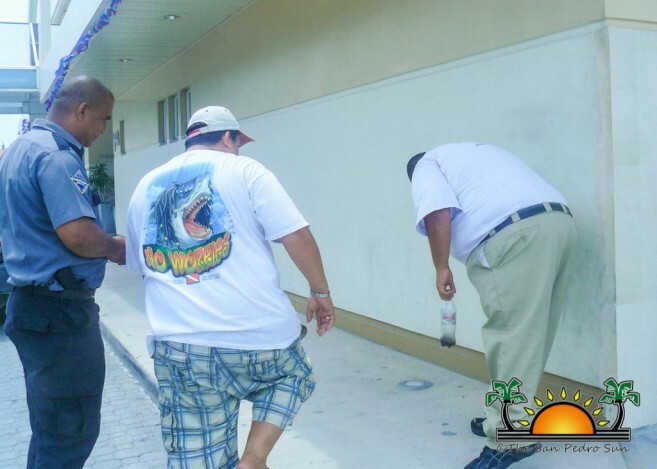 I saw the man that had the guy running down an alley towards the beach,” said Mendez. According to police, the incident was captured on a surveillance camera belong to one of the establishments in the area and investigators have retrieved and viewed the footage. While the Police would not go into details, they indicated that a man who was walking with his daughter and carrying a gun was approached by another individual. An argument ensued, which led to the shooting. As a result of the shooting, a man was grazed to the right hand while an 11 year old child, heading home for lunch, was shot in the right upper thigh. They were bothtaken to the Dr. Otto Rodriguez San Pedro PolyClinic II for treatment.